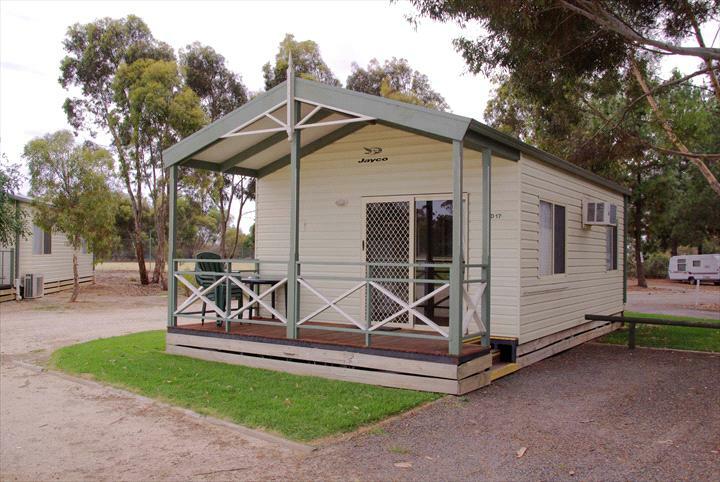 The Barossa Tourist Park is situated 70 km north of Adelaide, South Australia along the Sturt Highway (A20). From Adelaide travel north on the Sturt Highway from Gawler. Ignore the 1st Nuriootpa/Greenock interchange and take the 2nd Nuriootpa exit, turning right onto Old Kapunda Road. Nuri TAFE is on the left. Continue along Old Kapunda Rd to the traffic lights, go through the intersection. Nuri High School is on the left. Take the 2nd entrance into the Tourist Park. A peaceful, shady park located in the heart of the Barossa Valley. 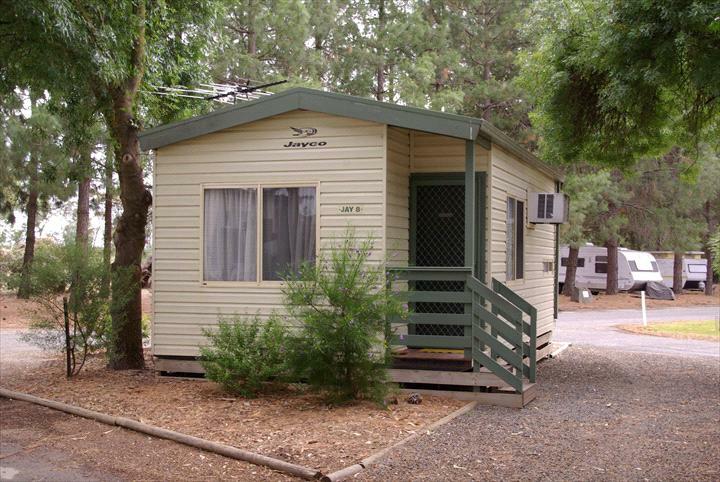 Close to restaurants, wineries, shops and tourist attractions. 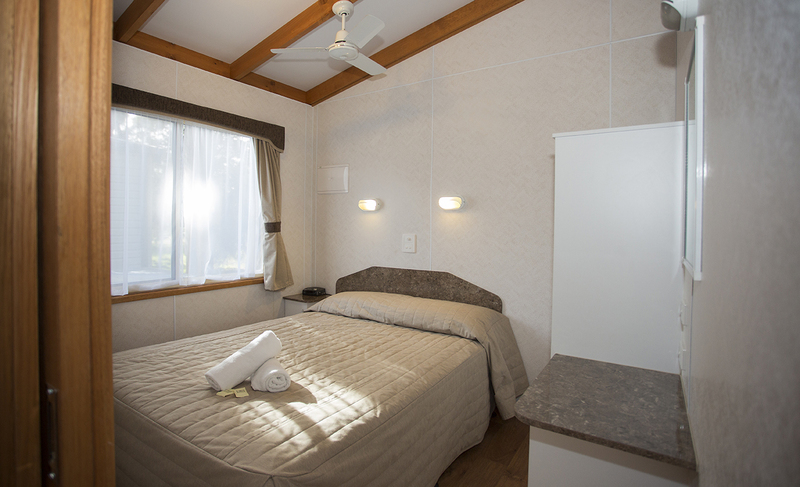 It is a peaceful, shady four star park featuring spacious drive through sites, en suite sites and a variety of cabins to suit all budgets, including our deluxe spa cabin with king size bed. 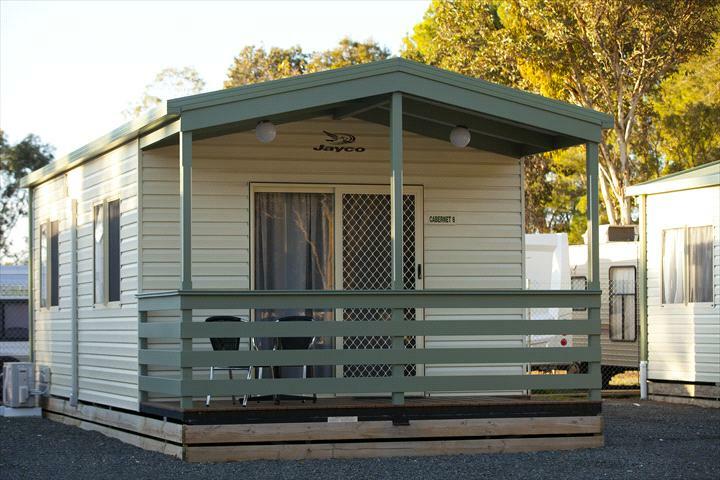 The park is located close to the many tourist attractions, bike trails, restaurants and world renowned wineries that made the Barossa famous, and is only a short walk to the main street shops and eateries. 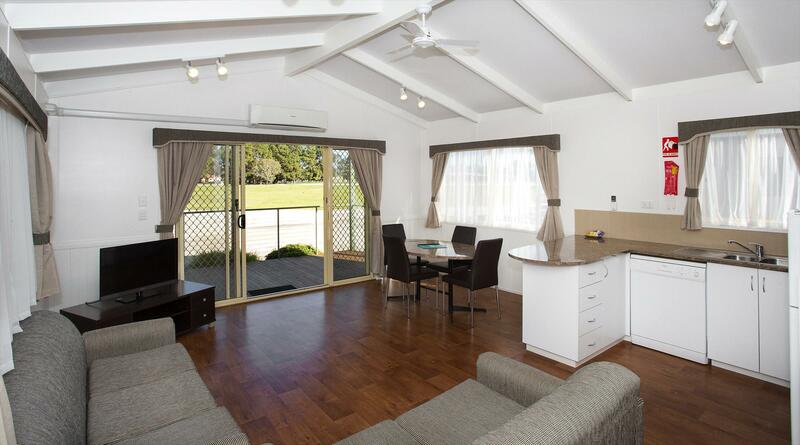 You can relax and enjoy the swimming pool, games room, tennis courts and bush chapel. Bike hire and pedal kart hire are available. Group bookings are most welcome. The Barossa Tourist Park is home of the historic Kaesler Van. 1 x Queen bed with linen supplied. 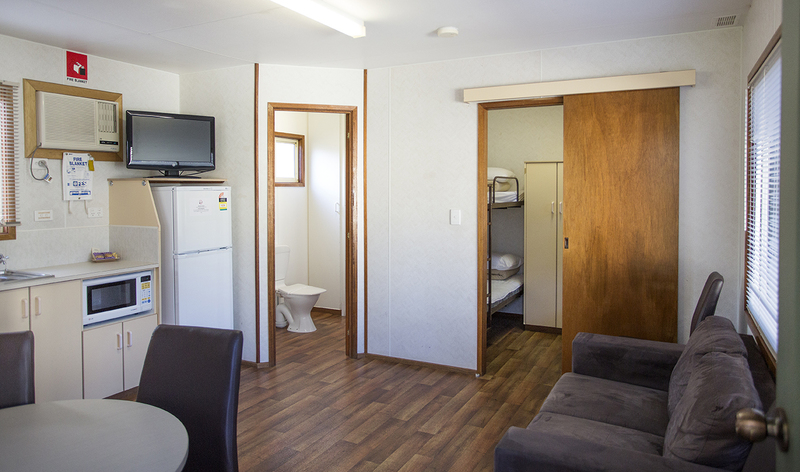 Kitchenette with hot plates, microwave & full fridge. R/C air con and ceiling fans in bedroom & lounge area. Colour TV in lounge & bedroom. Ensuite. Table & chairs on deck. 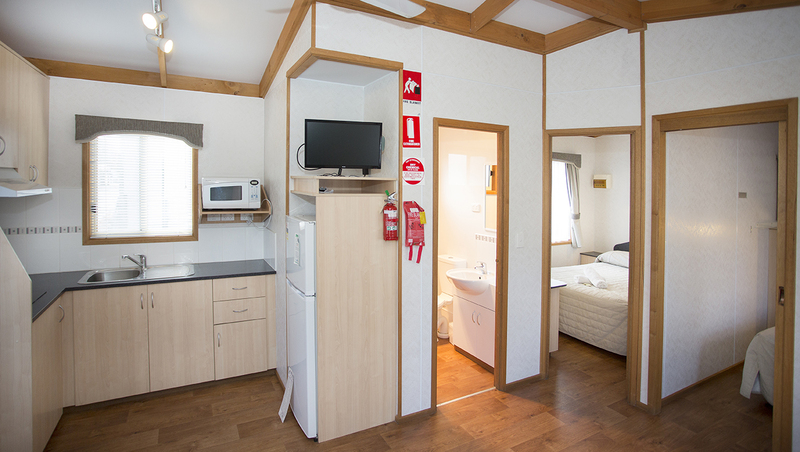 2 Bedroom Cabin. 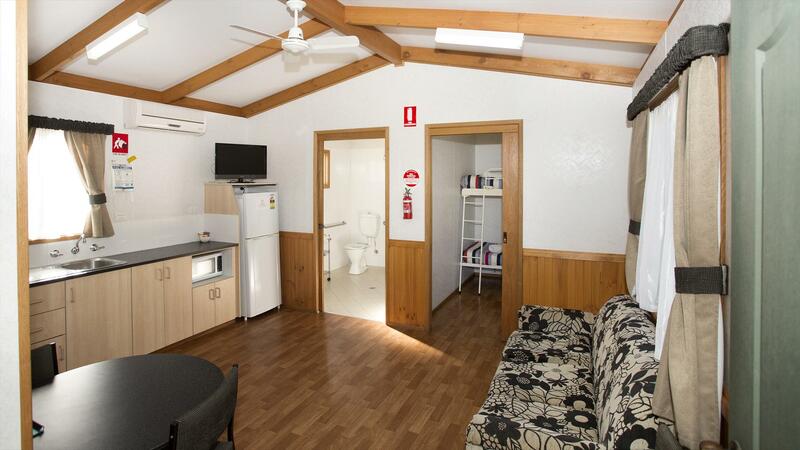 Ensuite with separate w/c. Queen bed in main bedroom, 2 x single bunk beds in second bedroom. Queen bed made up, linen supplied for bunks. Towels provided. 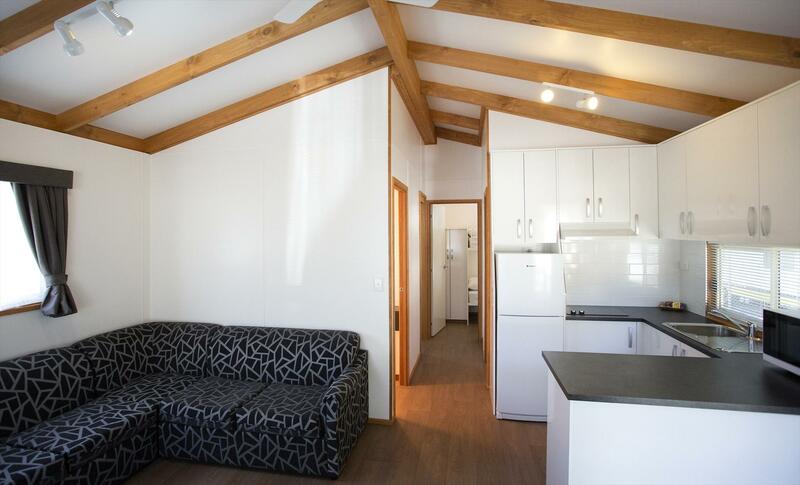 Well appointed kitchen - kettle, toaster, electric fry pan, microwave, hot plates (no oven), full size fridge. R/C air con, colour tv, dvd, clock radio, iron & ironing board, hair dryer. Ceiling fan in living area and main bedroom. Modular lounge seats 6 people. 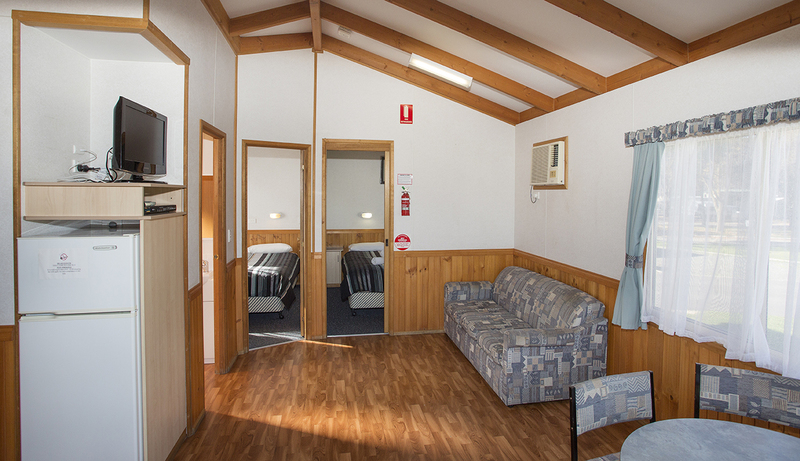 1 x Double bed in living area, walk through another room which has a bunk to access ensuite. Double bed made up with linen, bunk requires linen. Kitchenette, griller, microwave, electric fry pan, kettle, toaster, small fridge. R/C Air Con, colour TV. 1 x Double bed & 1 x Double bed with single bunk over it in separate rooms.Pull out Double Sofa bed if required. Kitchenette, Griller & Microwave. R/C Air Con,TV/DVD, Fridge. Double beds made with linen, pillows on all beds, light blanket on single bunk, linen hire available. No linen for sofa bed. Ensuite. 1 x Double bed in living area, made up with linen. 1 x single bunk in separate room with light blanket, linen required. Linen hire available. Sofa. Kitchenette, griller & microwave. R/C A/C, TV & small fridge. Ensuite. 1 x queen bed and 1 x set of bunks in separate rooms. Queen bed made up, linen supplied for bunks. Towels provided. Ceiling fan in main bedroom and living room. 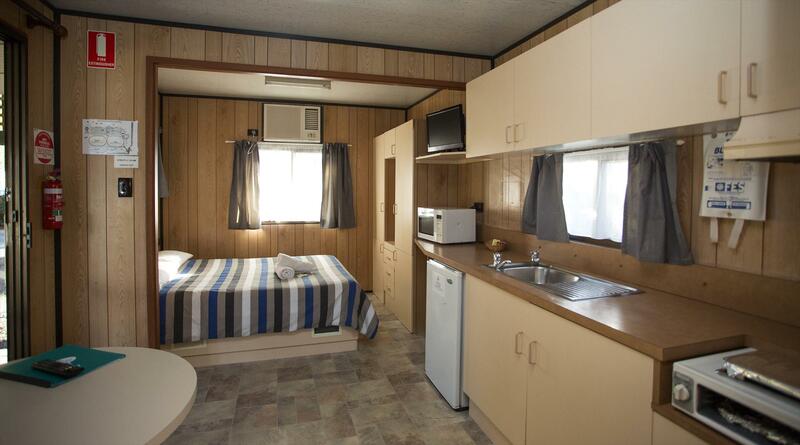 Kitchenette with cook top, microwave, kettle, toaster, electric fry pan and full size fridge. R/C air con, TV/DVD, clock radio. 1 x King bed made up with linen. Kitchen, full size oven, dishwasher and microwave. Full size fridge. R/C air con, colour TV/DVD. 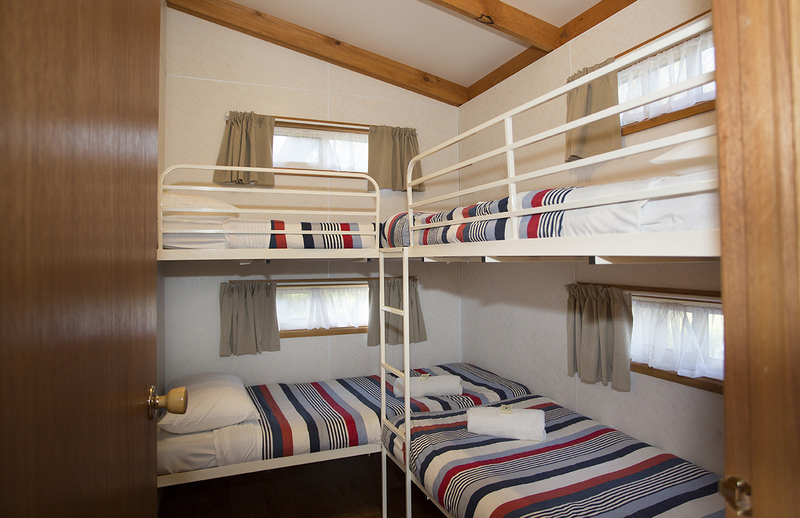 1 x Queen bed and 2 x sets of single bunks in separate rooms. Queen bed made up, linen supplied for bunks. Towels provided. Ceiling fan in main bedroom and living area. 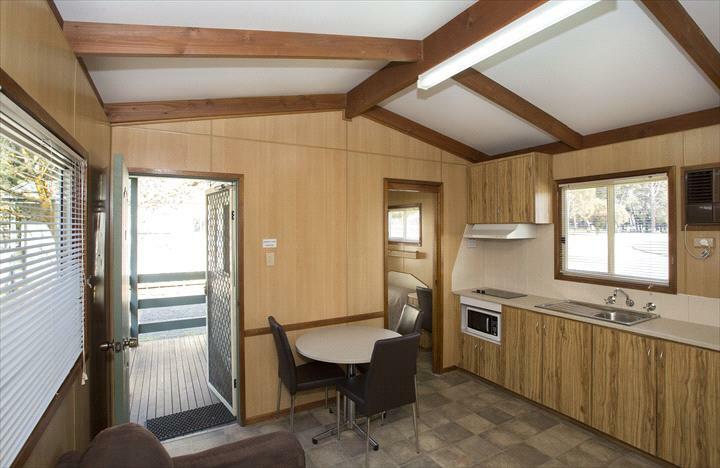 kitchenette with oven, microwave, kettle, toaster, electric fry pan, and full size fridge. R/C Air Conditioning, TV/DVD, clock radio. Iron and ironing board. Table and chairs on the balcony. 1 x Queen bed and 1 x double with pull down single above in separate rooms. Queen & double bed made up with linen. Linen supplied for bunk upon request. Towels supplied. Ceiling fan in main bedroom and living area. Kitchenette with oven, microwave, kettle, toaster, electric fry pan, full size fridge. 2 x queen beds in separate rooms. All beds made up with linen. Towels supplied. Ceiling fan in main bedroom and living area. Table and chairs on balcony. 1 x queen bed and two single beds in separate rooms. All beds made up with linen. Towels supplied. Ceiling fan in main bedroom and living area. Cancellation Policy: Bookings cancelled more than 3 days before arrival will get their deposit refunded. Bookings cancelled within 3 days of arrival will forfeit the entire deposit. Guests will be liable for full payment if their stay is shortened on arrival or during their stay.